Web site developed by Corpus Design Studio for TN Engineering properly present the long-years-company-experience in the research and building projection. 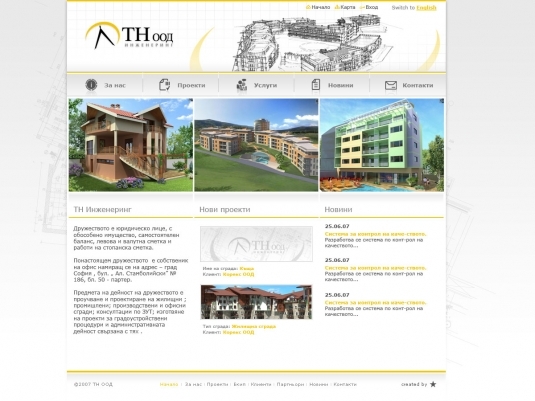 The modern website introduces the company with information for the offered services and completed projects through the years. Corpus Design Studio created a gallery of the company’s projects as well with a fast and easy access to it for the users and website guests.